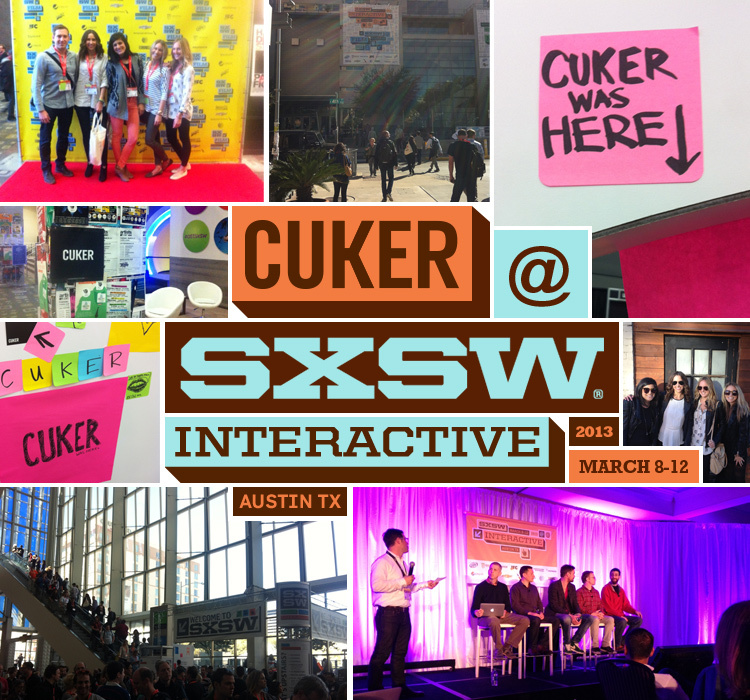 Our Cuker crew hit the 20th annual South by Southwest (SXSW) Interactive Festival and experienced the full taste of Austin- the next generation of digital, the latest bands to hit the music scene, and of course, the best food trucks, fried everything and 100% genuine Texas BBQ! Over 30,000 of the brightest minds in the industry headed to Austin, making this year’s festival attendance an all-time high. The techie festival wrapped up after five days of compelling presentations, fun-filled networking events, and an unbeatable lineup of the newest innovations. We had an amazing time and hope to see you at SXSW next year! Published on March 11, 2013 .